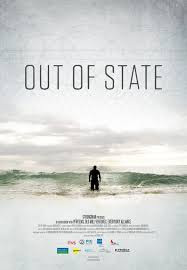 One of the closing night films at the Portland Film Festival is an eye opening and deeply moving film about going far from home only to turn to the ways of home as a means of survival. Kalani, David and Hale are three native Hawaiians who were sent to a prison in Arizona because of overcrowding. Cut off from friends and family back home the men turn toward the community of similar men in order to find a place to belong, sanity and potentially a way out of the cycle of crime. Intriguing and gripping film shows a part of life that I had never heard of. Normally when you think of men in prison you think of gangs and violence and these men have turned things in a positive direction. Focusing not only their lives in prison they also focus on life outside, David and Hale are released and have to deal with the difficulties of just getting by. The film also highlights the trouble of what happens when we send people so far away they kind of get forgotten by friends family and society. This is a super film. Its one of the best at this year's Portland Film Festival and is highly recommended when it plays tonight.